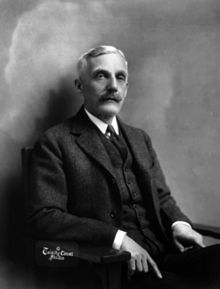 Andrew William Mellon (March 24, 1855 – August 27, 1937) was an American banker who also owned many industrial businesses. He was the Secretary of the Treasury from March 4, 1921 until February 12, 1932. Mellon was a lover of art, and had a large collection which he gave to the National Gallery of Art. Mellon was also a philanthropist - someone who gives to charity in order to make the world a better place. This page was last changed on 29 April 2015, at 10:07.